Yes 2 Renewables visited Heathcote recently to present to the local U3A (university of the third age) about wind energy technology. Given that Heathcote is located in the heart of the McHarg/Macedon Ranges ‘no-go zone’ for wind farms, we took the opportunity to brief attendees about the Victorian government’s anti-wind farm laws. Heathcote U3A “Understanding New Technology” group heard Leigh Ewbank from Friends of the Earth speak on “Wind Power” at the Guide Hall for an illuminating and entertaining two hours on Wednesday 3 July 2013 from 10 am. Such a simple solution to the problems of pollution where unfortunately Victoria leads the way in developed countries. Renewable energy has strong public support with 94% opting for Solar and 87% for wind power. There have been Wind Power community projects planned for Woodend, Surf Coast and Anglesea with opportunities for job creation in manufacturing, construction, maintenance and computer programming. Farms in drought areas benefit, a lid is kept on Electricity prices, communities gain control over their own clean and safe energy future. So what is stopping implementation with so much community support and so many advantages? 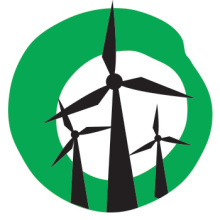 There are strong lobby groups with vested interests against Wind Farming. In Victoria, Amendment VC 82 has created no go zones in the Yarra and McHarg Ranges, among others. Heathcote U3A members left the meeting encouraged to make known the advantages of Wind Farming and to lobby politicians to rescind Amendment VC 82. Looks like you had a great turnout well done!!!. Y2R presented to several dozen members. It was a lively discussion. I fielded plenty of questions from the floor, so I know know what it’s like to be on Q&A.